The third edition of the International Conference on Public Policy (ICPP) took place 28-30 June 2017, in Singapore, on the premises of the Lee Kuan Yew School of Public Policy (following the 1st ICPP in Grenoble in 2013 and the 2nd ICPP in Milan in 2015). The conference included almost 150 thematic panels organized into 18 larger thematic groups, covering conceptual themes related to e.g. policy process theories, governance, comparative policy analysis, implementation, policy design etc., as well as sessions dedicated to specific policy domains (e.g. health and environment). Apart from this, two roundtables and one keynote speech was organised. The opening roundtable focused on policy-making and state capacity in a globalised world, while the topic of the closing one was policy advisory systems. On the second day of the conference, Christopher Hood gave a keynote speech on austerity and the importance of cross-disciplinary collaboration in understanding contemporary policy-making dynamics. 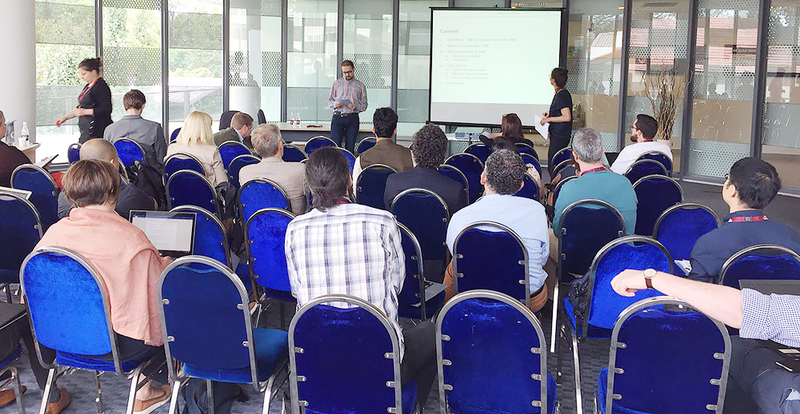 The conference was preceded by a set of courses focusing on theoretical approaches and workshops in which PhD students and young scholars could get feedback on their research projects. When it comes to higher education, research and innovation, two panels were organized. First, “Analysing knowledge policy coordination for the 21st century” panel included papers on multi-level/multi-actor/multi-issue governance arrangements, transnational higher education in Germany, performance funding in Australia, role of vice-presidents for research in Canada, global excellence/local relevance of higher education, regional policy coordination and convergence and good governance. Second, the “Transnational circulation and multilevel governance reforms” panel focused on comparisons between European (Bologna Process) and Asian (ASEAN) regional integration in higher education, policy transfer and policy dialogues. The conference also included panels on educational policies, comparative policy analysis, interest groups, complexity in public policy, policy transfer, policy design, policy advise, expertise and evidence, accountability and legitimation, science diplomacy, S&T policy and evaluation, etc. as well as a roundtable on public policy education. The next ICPP conference will take place in 2019 in Montreal. This entry was posted in Education, Global & International, Publications & Events, Science & Technology and tagged higher education, research policy, universities. Bookmark the permalink. Previous: Grand societal global challenges: fashion or paradigm shift in knowledge policies?